Definition: Stocks that give returns that are several times their costs are called multibaggers. These are essentially stocks that are undervalued and have strong fundamentals, thus presenting themselves as great investment options. Multibagger stock companies are strong on corporate governance and have businesses that are scalable within a short span of time. Description: A stock that doubles its price is called two-bagger while if the price grows 10-times, it would be called a 10-bagger. Thus, multibaggers are stocks whose prices have risen multiple times their initial investment values. The problem with a No-Brainer Investment (NBI) is that most people won’t agree with you. That is also the reason why it is a No-Brainer in the first place. You must be comfortable and confident about it. 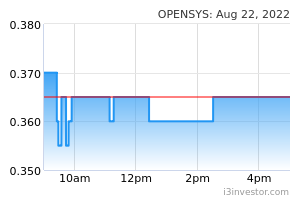 The screenshot below shows the latest cash flows statement for Opensys, an undervalued market leader with high ROE that is off the radar screen of most investors. Appendix 1 is the background of Opensys. FCF is whatever cash is left after all operating expenses, including capital expenses for growth, like buying new plant and machineries. FCF is like the end all goal of companies. The point is to do so well that you make so much money that even after all the checks written to expand the business you still have a lot of cash. With this FCF a company can pay out dividend consistently, buy back its shares when they are selling cheap, pare down loans, or invest in other profitable ventures, all done without assuming more debts, or issuing more shares. Thanks to kcchongnz, I had look past PE ratio. Appendix 2 shows the definitions and explanations of the key terms. 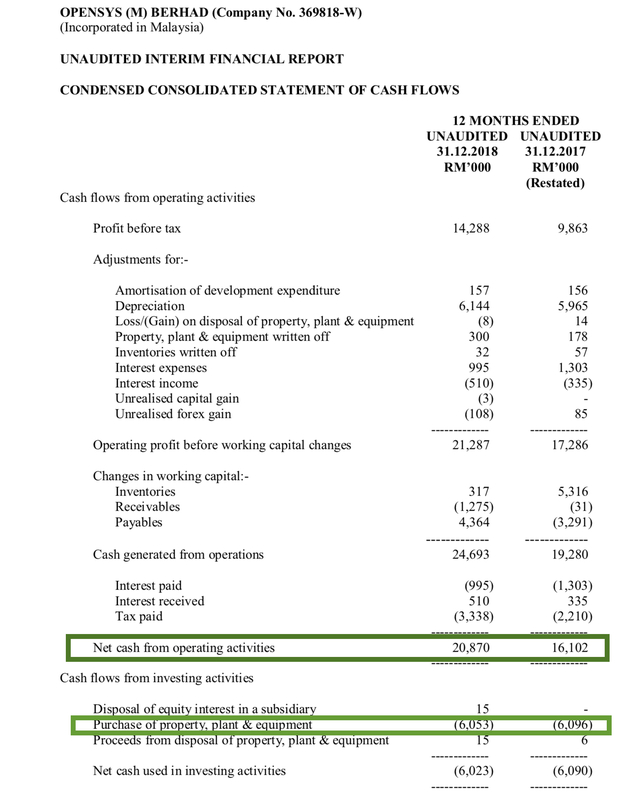 Cash flows from operations (CFFO) was RM20.9 million last year, way much higher than the net profit of RM10 million. Net capex remained the same at RM6 million. 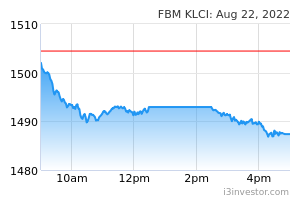 FCF for Opensys surged 48% to RM14.8 million last year as compared to RM10 million in the previous year. At 33 sen, the cash yield (CY) is 15.1%. Based on the CY of 15.1%, is Opensys a No-Brainer Investments? OpenSys (M) Bhd is a micro-cap company with a still small but rapidly growing revenue base that is off the radar screen of most institutional investors. Since listed in 2004, its net profit has been on a tear while revenue more than quadrupled from RM20.3 million to RM95.4 million over 14 years. The better economies of scale, coupled with improving margins, also helped propel its return on equity (ROE) by an impressive 16 percentage points to 18%. Today, the company counts among its clients all major banks in the country, such as Maybank, Public Bank, Hong Leong Bank and United Overseas Bank, and insurance and telecommunications companies. OpenSys has the largest installed base of cash recycling machines, with close to 80% market share in Malaysia and has to date installed more than 2,600 machines. Currently the total number of ATMs andCDMs in Malaysia is 17,500 units with annual growth of about 5%. CRMs are dual-function machines that merge the cash dispensing functions of ATMs and the cash deposit functions of CDMs. Banks are benefitting from the cost- effectiveness of CRMs in areas of cost of ownership, lower cash holding and reduction in cash handling cost. These significant savings have been a major driving factor for banks to undertake major fleet replacement and consolidation, resulting in the exponential growth of CRMs. In the last five years, the total number of CRMs in the market has grown exponentially with a Compound Annual Growth Rate (CAGR) of close to 40 percent. The emerging and evolving technologies in the marketplace will fuel new possibilities for OpenSys. The versatility of CRMs will see the adoption of digital technologies and the rise of new value-added services using new digital methods of authentication and service fulfilment such as biometrics, contactless and cardless technologies, QR codes and complementary mobile apps. OpenSys has been working closely with the banks to incorporate new technologies and services. This opens up tremendous new possibilities in banking services. Most investors use, if they ever use at all, the price-to-earnings ratio (P/E) to measure the value of a company. Even almost all investment bankers and analysts do the same. By dividing the market price by earnings, you can get an easy-to-understand measure of a firm's value and a simple way to compare different companies to each other. Flip the ratio over, you get E/P, or what is termed earnings yield. This you can use to compare with the return of alternative investments such as bank interest rate. But there are hell lots of problems with the “E”, the accounting earnings. As you all know, accountants are some of the most creative people on earth. This “E” can mean anything. The link below explains some of the problems with this “E”, and the associated P/E ratio. What is Free Cash Flow Yield or Cash Yield? A CY of more than 5% investing in a stock is good as it is more than the return from the fixed deposit in banks, and it is in cash too. A CY of 10% and above would be excellent investment. Free cash flow (FCF) is what is left from CFFO after spending capital expenses (Capex) for maintaining the ongoing business, or expenses for growth of the ordinary business such as building new or upgrading the production lines, open up more similar shops for business etc. Based on CY, we could generally conclude that high CY companies, i.e. buying companies cheap in term of cash return, is a No-Brain Investment (NBI). (2.6m shares buyback April ) Philip I think using only one metric to value your investments is no brain indeed. Let me introduce more metrics so you can value you opensys better. 1. Product sales breakdown and growth patterns. 2017 hardware sales of 57.6 million (6.7 million profit), service & software 38.3 million (16.6 million profit). 2018 hardware sales of 52.5 million (7.75 million profit), service and software 47.3 million ( 20.2 million profit). What does this metric to you? The increase in sales is from the more higher margin servicing and maintenance of the existing machines and share upgrades which they charge 47 million for and a good profit. However you noticed lower manufacture and replacement of newer more expensive and better margin cash recycling machines. But more importantly, the sales of those machines are dropping, meaning banks like it, buy they don't really need it, so the refreshment cycle is put off while they prefer to pay more for maintaining older machines ( until they can move to a cashless payment model which is growing faster and faster as more people become connected to the internet). So is the business REALLY GROWING? How much would you pay if you knew that OPENSYS machine sales is going to slow down in the coming years? The services division can only exist if you have machines. No machines, no service. I prefer to pay all my bills online now via anaerobe. In fact, im typing my reply now via smartphone. I do my fund transfer online. Is more convenient. How do YOU do your payments these days? Now we look at the market penetration, it is around 80% of Malaysia market. First thing you need to realize, the technology is leased with Japanese company OKI, meaning you cannot sell the systems overseas as there are distributors in other countries like Thailand, Cambodia, Philippines etc. So right now it fits the story where 50+ million a year is the 80% limit of replacement of new hardware locally every year. The most you can go up to is 70 million in the next few years in terms of yearly machine sales. This can be related via another metric, the market share size of the industry. I know this, you know this. How do you expect it to diversify its business units or grow its market in the future? CRM is already doing its best to help out the market. Can it open up the market more? I don't really think so. For the stock to be a multibaggers selling 2x to 3x which is what you are proposing, the market has to grow into a 100-150 million a year machine upgrade and replacement industry. At 80% monopoly, do you think this is possible? If you are asking the share price to double or triple, you need solutions and services to double or triple. Opensys has grown very slow since 2014(45 million/5.5 np/ 2.2 div ), 2015(72 million/7.3/2.9), 2016(94.7 million/6/2.9), 2017(96.1 million/6.7/2.9), 2018(95.3 million/10/3.7), you can smell the 80% terminal growth limit here. Can they grow double or triple is revenue and earnings in the coming years? They have no competitors to take market share from, they already introduce their latest product CRM in 2016, banks are slowing down their growth of new branches in Malaysia. How else can they grow? Diversify into fintech? Software no need branch machine maintenance, no Brainer there. This last part is also very critical. If you only look at PE and cash flow generation is good, but look deeper you will notice something very interesting. Their net assets while growing, is still very low. You are paying 100 million for a cash positive company that is worth 56 million but generates 7 million historical every year(2018 results not audited yet) Meaning if you bought the entire company, you would have overpaid by 44 million currently. Imagine if had to pay 200 million for this company (your target of 68 cents), you will have overpaid by today value around 150 million(15 years to get back the difference in goodwill based on 2018 10 million profits assuming terminal value). How do you think this company is undervalued? With a net asset value of 0.19 cents for a system which they didn't r&d themselves ( ask OKI if they can change the licensee), I don't see much undervalue there. Have you ever wondered why even with good profits, why is it still a microcap after 15 years of listing in the stock market? Very simple. Its a good business in a small market. No matter how well the company is run ( and OPENSYS is wonderful in running it's company), the market is just too small. And that is how I look at your no brain investing. ( I still hope you do well with it! Kudos if you spotted it in 2012!). Good luck and God bless. davidkkw79 Now the trend is using wechat,boost,touchngo E money lar. Why suffer at those lousy atm?? silom no doubt opensys is a good company, and the CRM is still needed by the banks to retain its customers and they save some cost like less frequent replenishing the cash, but assume daily or weekly the bank need to get ready 100K to 200K to put into each machine, if the bank has 1000 CRM, it would need to prepare 100 mil to 200 mil cash to sit in the machine, think those FI would try to move their customers to smartphone, mobile or online banking, rather than expanding their CRM network. stockraider This Philip really don know how to think & not adaptable loh...!! Wise man say ; 'SMALL IS BEAUTIFUL IN INVESTMENT'....IT HAS GOOD MEANING LOH.....!! For large cap company like Pchem, QL, Topglove a Rm 2 to 3 million profit increase every year is just a sand drop into the ocean, but for opensys it mean big out performance mah...!! Thus co like opensys do not need such a enormous growth like what Philip describe to grow mah...!! Investing in smallcap require different set of skill that Philip is not up to mark here loh...!! I think using only one metric to value your investments is no brain indeed. Iamyou stockraider, you don't understand Philip arguments. What he meant was opensys already controlled 80% of the industry and this industry is slowly turning into a "sunset" business. Pretty much like TheStar. Opensys need to venture into new industry in order to growth the company. stockraider U don understand the selling of CRM is just a stepping stone....it is not that so essential like u think loh...!! It is essential to hold big mkt share for sustainability mah...!! Anyhow 80% mkt share, that is good too...u know why ?? When come to replacement of CRM....there is 80% chance that opensys will be selected as a supplier loh....!! stockraider, you don't understand Philip arguments. What he meant was opensys already controlled 80% of the industry and this industry is slowly turning into a "sunset" business. Pretty much like TheStar. Opensys need to venture into new industry in order to growth the company. stockraider If u want to know more on opensys, i think Jon chivo is the best to enlighthen u loh...!! Raider exposure here not so big, compare to SAPE and insas which is my current core holding right now loh...!! Overall opensys at PE 10x is definitely better than QL anytime which have overvalue PE 50x loh....!! Bcos QL overvalue PE 50x....it need to grow alot to catch up to reasonable value compare to opensys which is undervalue right now mah.....!! Apologies for the name, I don't know how to change it. And also appreciate if I can join in your stock picking game. I want to see how good is he by end of the year. silom think it has a good management team which apparently know how to identify and capitalise on opportunities , first the cheque deposit machine , then the CRM .. next is ? Letsrock cheque is a sunset app, bank not even want to invest on it. cdm, wincor, ncr dominated large market share. can oki fight with thwm? Please use my full portfolio and returns (as in real life) for your comparison. I have volume, returns, and complete long term results to compare. I'm not like those who play play without any really money involved. I have long term results, and a long term portfolio returns.